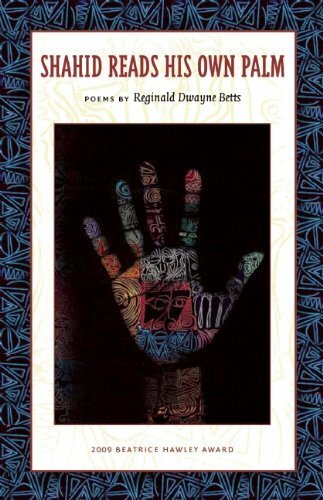 Reginald Dwayne Betts is the author of two books of poems, Bastards of the Reagan Era (Four Way Books, 2015), and Shahid Reads His Own Palm (Alice James Books, 2010) and a memoir A Question of Freedom (Avery/Penguin, 2009). He is the winner of a Radcliffe Fellowship, an NAACP Image Award, a Soros Justice Fellowship from the Open Society Institute, a Cave Canem Fellowship, and a Ruth Lilley and Dorothy Sargent Rosenberg Poetry Fellowship. In 2012, Betts was appointed by President Barak Obama to the Coordinating Council of the Office of Juvenile Justice and Deliquency Prevention. He is currently enrolled in the PhD program at Yale Law School.